Details on the alternate style fighters. 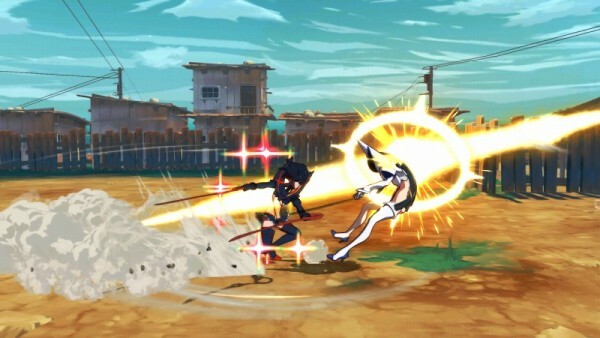 Arc System Works has released new information and screenshots of Kill la Kill the Game: IF detailing the previously revealed characters Ryuko Matoi (Dual Wield) and Satsuki Kiryuin (Dual Wield). 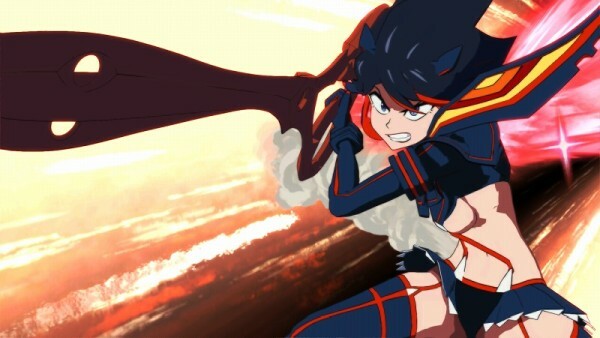 Alternate version of Ryuko Matoi. Retrieved the other half of the Rending Scissors from Nui, and dual-wields both blades for a wider range of attacks. 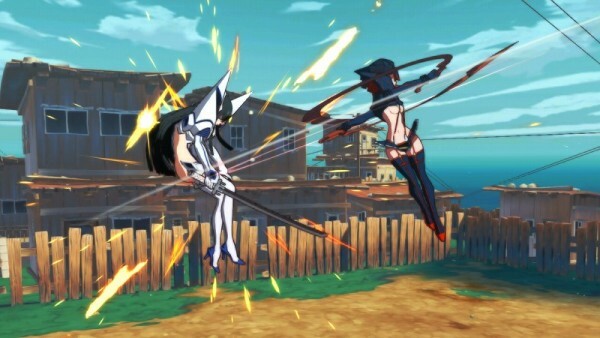 Although dexterous and able to attack at all ranges, since her speed has slightly decreased to provide balance, the way she conducts herself during battle is vastly different from the normal Ryuko. —Her melee attacks are combo attacks that combine the Rending Scissors and martial arts. Players will be overcome with a sense of exhilaration when connecting combos with the dual-wielded Rending Scissors. 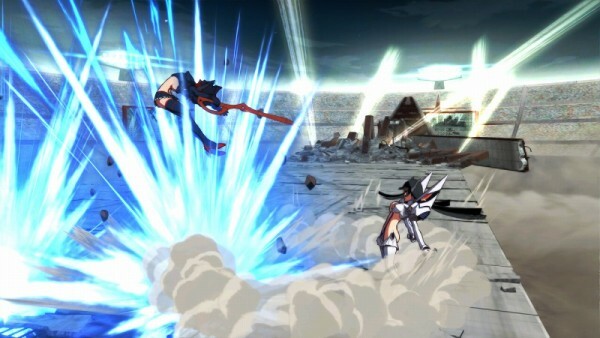 —Her long-range attacks fire shock-waves an increased distance compared to normal Ryuko. With both range and power in tow, she is a highly all-purpose fighter. —Her break attack is a knee-strike jump attack. If it lands, she can follow up with a kick. This technique is a reproduction of the one she used in episode 22 of the TV anime, when she recovered the Rending Scissors. 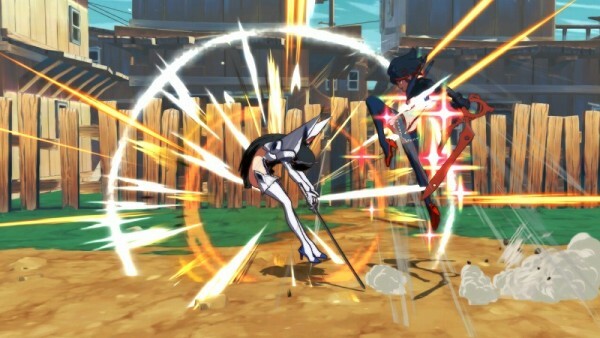 —Her special moves are powered-up versions of normal Ryuko’s moves. 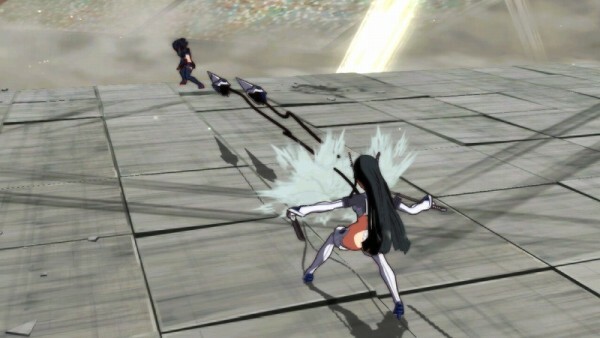 She can unleash powerful techniques such as the Rending Scissors’ Decapitation Mode and, although her speed has decreased, spinning slashes with the ability to drawn in the opponent. 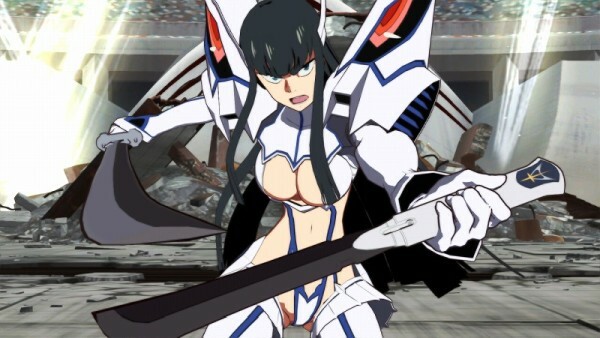 Alternate version of Satsuki Kiryuin. Wields both the Bakuzan Kouryu and Bakuzan Gako at the same time. Although she lacks the long reach of normal Satsuki, she makes up for it with both speed and combo skills that offer a higher sense of exhilaration. 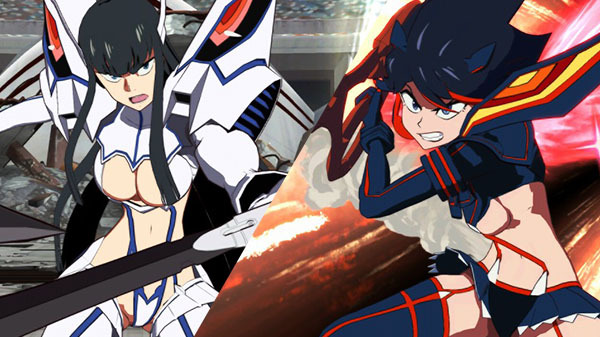 She incorporates motions from when she wore the Senketsu Kamui in the anime and from when Ryuko wore the Junketsu Kamui, making this Satsuki a character that fans will love. 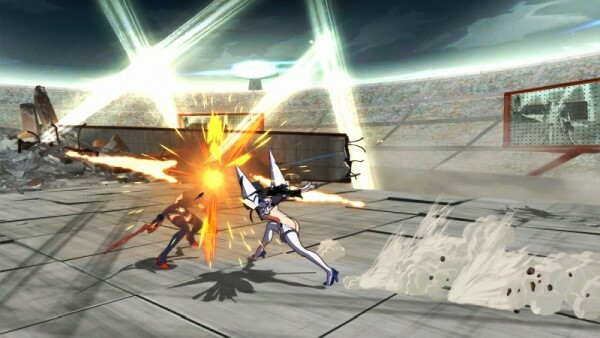 —Her melee attacks are combination slash and martial arts attacks from her dual-wielded Bakuzan. She can freely unleash combo attacks on the ground, in the air, and while dashing. 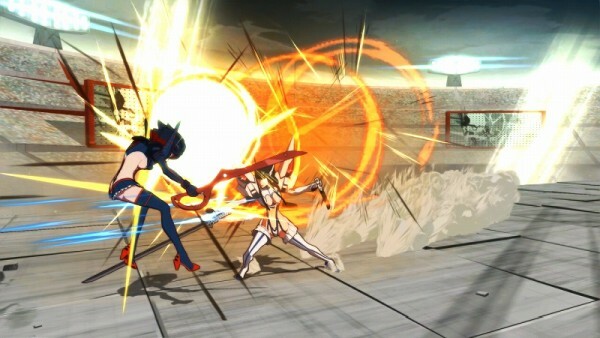 —Her long-range attack is a slash attack in which she swings and fires her dual-wielded Bakuzan. Just like her melee attacks, she can combo these on the ground and in the air. 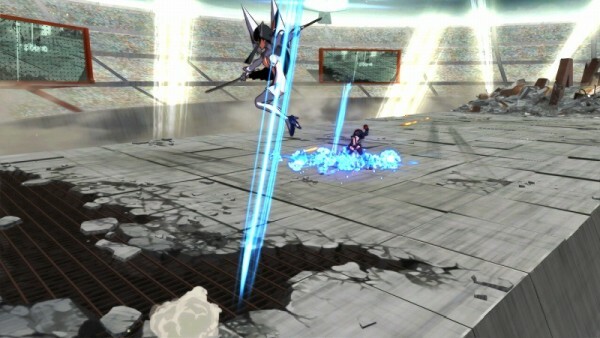 —Some of her break attacks have a counter ability that can stop the blow of incoming attacks. Rush the opponent with combos as not to let them gain the upper hand. 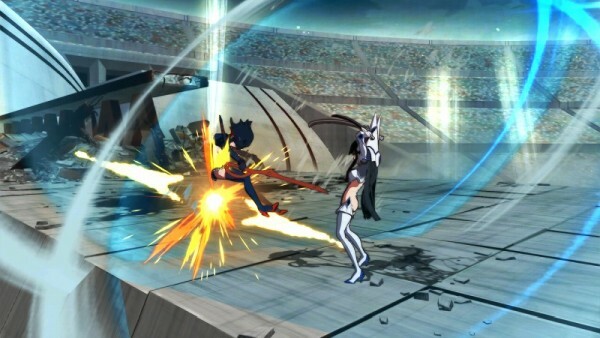 —Her special moves offer a different flavor from the normal Satsuki, such as a technique in which she slashes her dual-wielded Bakuzan in the shape of an X, and another that launches the Junketsu outfit’s shoulder pads like missiles.